Founded in 2004 by Brian Collins and David Tashbook, QNE PC Repair is backed with over 20 years of hands on industry experience by certified technicians. 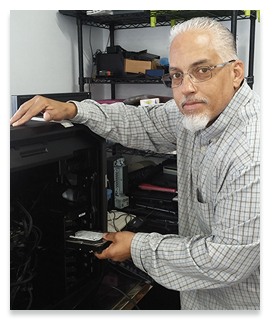 Brian is a certified A+ repair technician with over 17 years of hands on experience in building, upgrading, and troubleshooting PC’s and Laptops. 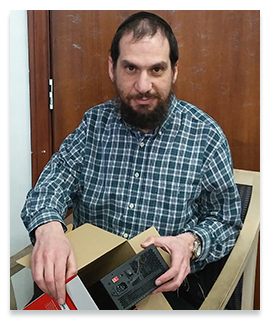 He is very proficient in troubleshooting issues with Windows 95, 98, 2000, ME, XP, Windows 7, 8, 8.1 and the new windows 10. He performs down to the component level repairs of most PCs and Laptops. He is also a expert at removing viruses/spyware and stopping those annoying pop-ups. David has over 20 years of professional IT experience. As part owner and our most valued senior technician, David can provide you with the answers and solutions to all of your networking needs. David professionally sets up servers and installs Windows 95, 98, NT, 2000, ME, XP,Windows 7, Windows 8, 8.1, and the new windows 10, Exchange server 5.5/2000/2003/2007/2013/2016, and Outlook Web Access. He has strong skills with all operating systems, Microsoft Office, SQL,SalesLogix, Goldmine, Firewalls inclusive of the SonicWALL Series of Routers, Remote Access Services and extensive implementation experience with DHCP; DNS; NAT; RAS; WINS; and Terminal Services.